Having already written about buying a closed church in England, I thought I'd tackle Scotland. The Church of Scotland also publishes an online list of property for sale. This nice bit is it isn't just former churches, it's also former staff houses and offices. 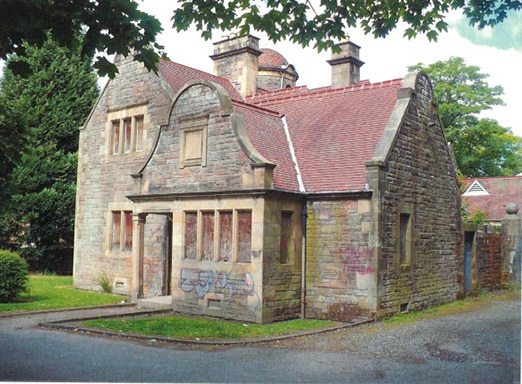 My current favourite is this former manse, pictured above, in the village of Muirkirk, in Ayrshire. The detached villa has three bedrooms, three reception and a big garden and is on the market at offers over £150k. The pdf is here. On a similar scale is a gorgeous detached Manse at Leslie, in Fife, at a pricier offers over £240k. 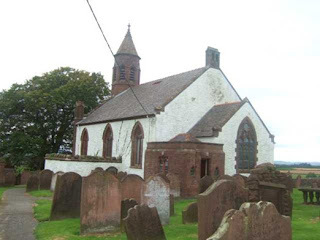 Church-wise, I loved Mouswald Church, in Dumfries, pictured below. Manageable size, fab location and even the graveyard doesn't stop it being cute as a button. On the market at offers c£40k. Pdf here. Finally, East Lodge, in Alloa (below). Needs total renovation inside (and some serious graffiti removal) but a lovely building and you have a theatre on your doorstep! On the market at offers over £65k. Incidentally, buying a property in Scotland is markedly different to the rest of the UK. Particularly the concept of 'offers over' in relation to prices, which makes it more like bidding for something at an auction but without being able to see anyone else'syour competitors' bids. There's plenty of info out there, but here's one useful link to get you started.